As switching standards is growing maturer and copper cabling standards catch up, the use of copper cabling for 10GbE is becoming more and more popular. Currently, there are four different copper cabling technologies for 10 Gigabit Ethernet, each with its pros and cons. Although fiber (10GbE SFP+ optics) delivers the lowest latency and feature flexibility, many IT departments still prefer to use copper cabling for switch-to-switch or switch-to-server connections. 10GBASE-CX4 was the first 10G copper standard published by 802.3. CX4 modules use 4-lane PCS and copper cabling and have a maximum distance of 15 meters. Despite its larger size of connector, CX4 module was initially designed as a replacement for legacy Infiniband switching hardware and a lower-cost switch interface. 10GBASE-CX4 offers the advantages of low power, low cost, and low latency, but has a bigger form factor and more bulky cables than the newer SFP+ standard and a much shorter reach than fiber or 10GBASE-T.
10G SFP+ DAC is also known as 10GSFP+Cu, 10GBase-CR, or 10GBase-CX1, SFP+, or 10GbE Cu SFP cable. SFP+ direct attach cables feature rugged twinax cables that connect directly into a low-profile small form-factor pluggable plus (SFP+) diecast connector housing. 10GbE SFP+ direct attach cable has a fixed-length cable, typically 3, 5 or 7m in length, and like 10GBASE-CX4, feature low power, low cost and low latency with the added advantages of using less bulky cables and of having the small form factor of 10GbE SFP+. According to wikipedia, 10GBASE-T is a standard released in 2006 to provide 10 Gbit/s connections over unshielded or shielded twisted pair cables, over distances up to 100 meters. 10GBASE-T SFP+ copper transceiver module uses standard RJ-45 connectors that are already widely used with Ethernet. 10GBASE-T cable infrastructure can also be used for 1000BASE-T allowing a transition from 1000BASE-T using auto negotiation to select which speed to use. 10GBASE-T is available from several manufacturers like Mikrotik, HPE and FS.COM with power consumption of 3-4 W per port with current generation PHY’s (2012) and promise even better power management in the future. Backplane Ethernet, also known as 802.3ap, is used in backplane applications such as blade servers and modular routers/switches with upgradable line cards. 802.3ap implementations are required to operate in an environment comprising up to 1 meter (39 in) of copper printed circuit board with two connectors. There are two port types for 10 Gbit/s Backplane specs, (10GBASE-KX4 and 10GBASE-KR). New backplane designs use 10GBASE-KR rather than 10GBASE-KX4. The growth in the number of 10GbE networks and the improved efficiency in the physical layer components, have allowed 10Gb Ethernet deployments to have a much broader footprint. 10GbE optics like 10GBASE-T copper SFP+ transceiver module begin to take up a foothold in 10G network deployment. More importantly, 10GBase-T provides a cost-effective method for migrating from your current network to 10G Ethernet by utilizing your existing RJ-45 copper short connections. For 10GbE network components, you get them either on Amazon, Mikrotik, HP or FS.COM. This entry was posted in Copper Network and tagged 10GBASE-T, 10GBASE-T copper SFP+ transceiver module, SFP+ DAC on November 14, 2017 by Admin. With the requirements laid on data center increasing rapidly, the ability to flexibly adapt to future demands is tremendously crucial for data center managers. Often this can be achieved by deploying higher bandwidth solutions in a part of the data center, provided that these systems are backwards compatible with existing infrastructure or it may be a cost-consuming method. BASE-T technology featured by its low cost, availability and flexibility is largely favored by data center designers. This article illustrates the migration of BASE-T technology so that people can future proof their data center tomorrow. Why BASE-T Is so Popular? To be short, three main advantages will be concluded in the following part. 1000BASE-T (ratified in 1999) is a Gigabit Ethernet standard over copper wiring at the speed of 1000 Mbps. Each 1000BASE-T network segment can support a maximum length of 100 meters, and uses Category 5 cable or better (including Cat 5e and Cat 6). 1000BASE-T also uses a symbol rate of 125 Mbaud and all four pairs for the link and a more sophisticated five-level coding scheme. 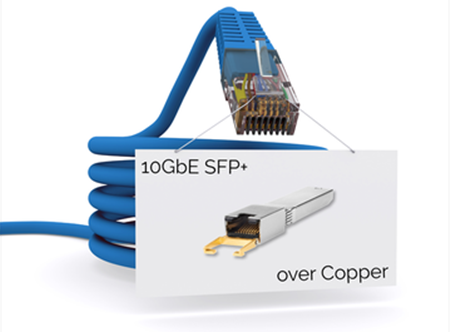 The 1000BASE-T SFP operates on standard Category 5 unshielded twisted-pair copper cabling of link lengths up to 100 m.
Upgraded from 1000BASE-T, 10GBASE-T (certificated in 2006) offers the most flexibility, the lowest cost media, and is backward-compatible with existing 1 GbE networks. 10GBASE-T connected with Cat 6 and Cat 6A (or above) cabling supports a length up to 100 meters that gives IT managers a far greater level of flexibility in connecting devices in the data center. 10GBASE-T and Category 6A cabling costs less than using either optical fiber or SFP+ direct attach copper (DAC) options that have been widely deployed to date center for 10 Gb/s. For example, EX-SFP-10GE-DAC-1M can only support a link length of 1m that largely limits its application. 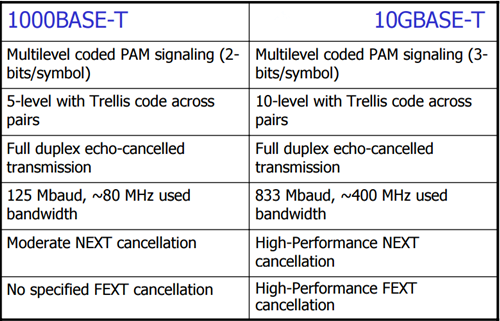 Figure 1 presents a comparison between 1000GBASE-T and 10GBASE-T. If there is a 10GBASE-T for switch-to-server and switch-to-switch connectivity, there will be a 40GBASE-T over twisted pair cabling for the 40G data center deployment according to the IEEE. Twisted pair cabling with the RJ-45 connector has always been the first choice for IT professionals, based on its low cost and ease of use. Unlike fiber or twinax solutions, twisted pair cabling can automatically switch to different data rates, such as from 100MbE to 10GbE. Therefore migration to 40GBASE-T does not require a upgrade of all the equipment of the data center, which will reduce of the overall expenditure of the data center. The advantages of 40GBASE-T are clear, but the path from initial ratification to commercial availability is not always smooth. There still a few months off for 40GBASE-T standardization, here comes some good news, as well as some considerations. 40GBASE-T is specified with transmission performance up to 2 GHz (four times the bandwidth of Category 6A) with a lot more stringent alien crosstalk requirements. Since initial 40GBASE-T applications would be limited to data centers, the traditional twisted pair Ethernet 100m link length is not essential. Additionally, Industry players helping in the development of an industry standard for 40GBASE-T have to ensure that it could be supported and rolled out cost-effectively. 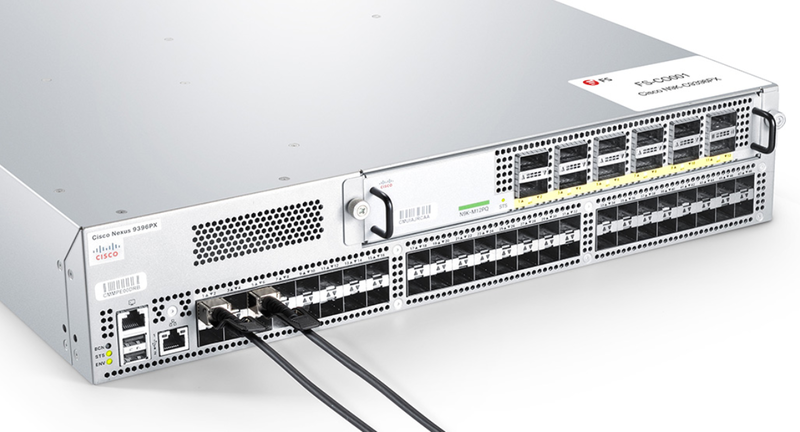 The new standard will minimize the time it will take to develop new electronics for switches and servers that can support 40GBASE-T connectivity, by building on the work already completed to support 10GbE connections. The standard will also support the ubiquitous RJ-45 connector. Sooner or later, 40GBASE-T will be upon us. Nowadays 40GBASE-LR4, 40GBASE-SR and 40G QSFP+ cables are there to help with the deployment of 40G connectivity. 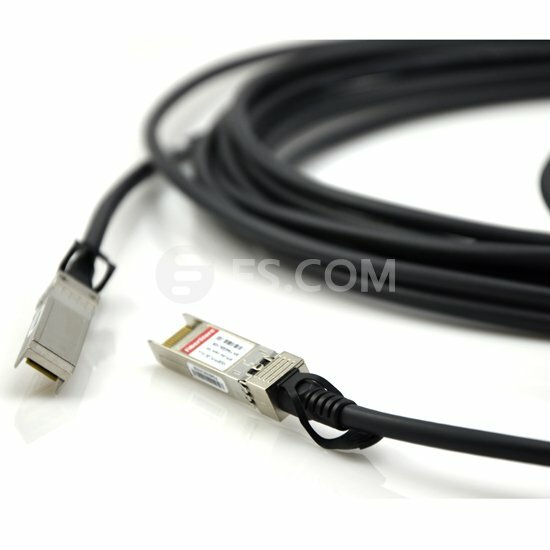 Take JG330A as an example, it is QSFP+ to 4SFP+ Passive Copper Cable available for short reach application. Figure 2 shows a data center twisted-pair migration roadmap. BASE-T technology (1000BASE-T, 10GBASE-T or 40GBASE-T) always retains the traditional advantages—low cost, easy to deploy and auto-negotiation for plug and play and backwards compatibility. 1000BASE-T and 10GBASE-T have already brought benefits to people. But no one can foresee that 40GBASE-T will be used in the future but future-proof planning of the cabling is important, given the long life of the cabling systems. Fiberstore provides a full range of BASE-T products including 1000BASE-T SFP, 1000BASE-T media converter, 1000BASE-T GBIC transceiver, etc. And 40GBASE-T devices will be coming soon. If you have any request of our products, please send your inquiry to us. This entry was posted in Copper Network and tagged 1000BASE-T, 1000BASE-T SFP, 10GBASE-T, 40GBASE-T, alien crosstalk, BASE-T, Cat 5, Cat 6, Cat 6A, DAC, EX-SFP-10GE-DAC-1M, JG330A, QSFP+ to 4SFP+ Passive Copper Cable, SFP+ DAC on March 10, 2016 by Angelina.Li.